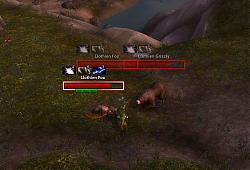 Threat Plates (TPTP for short) is a addon for customizing your nameplates. It offers a high amount of customization and tweaks to how your nameplates react and look. 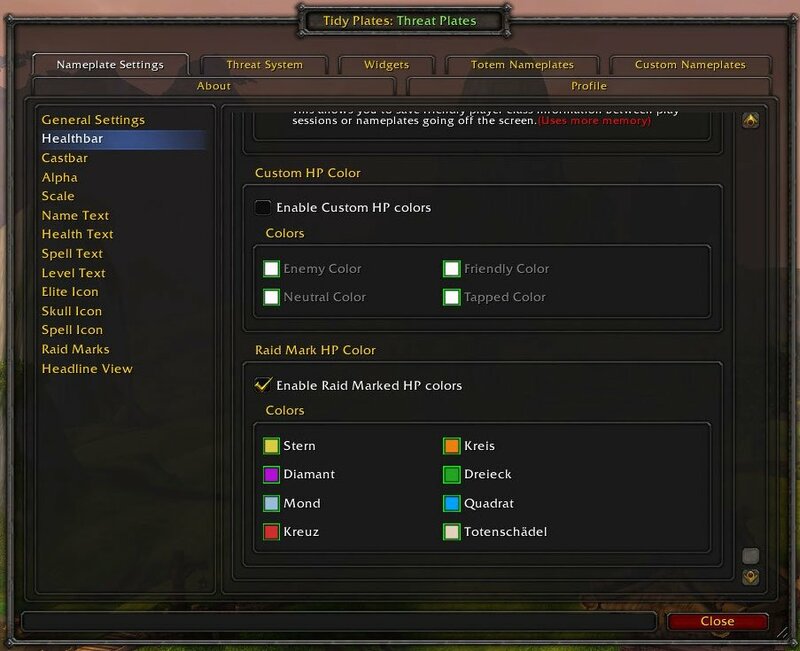 It also offers some unique features that are not available with any other nameplate addon. I've spent a considerable amount of time improving this addon and any comments or concerns about this addon are appreciated. I'm always looking for ways to improve this addon. 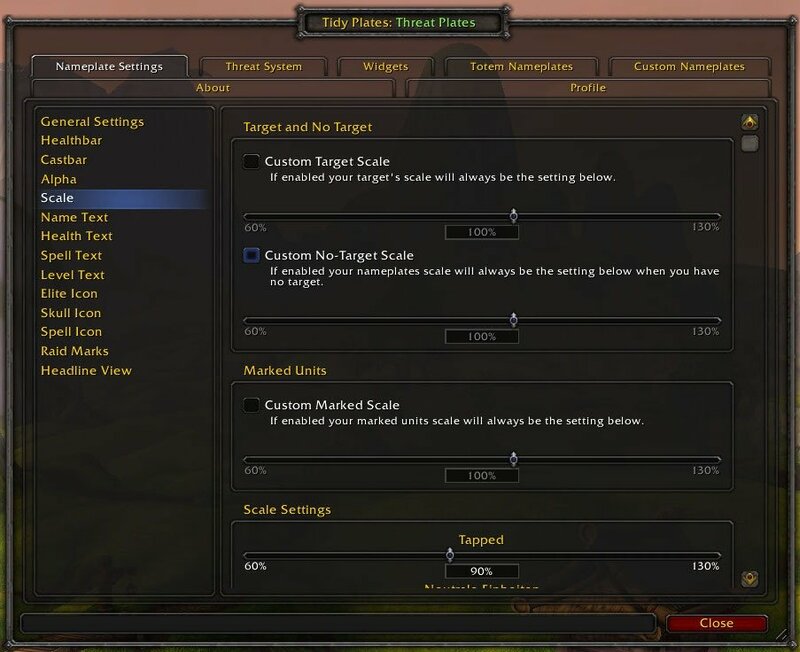 Starting with version 8.6.0, Threat Plates now is a standalone addon that no longer requires TidyPlates. 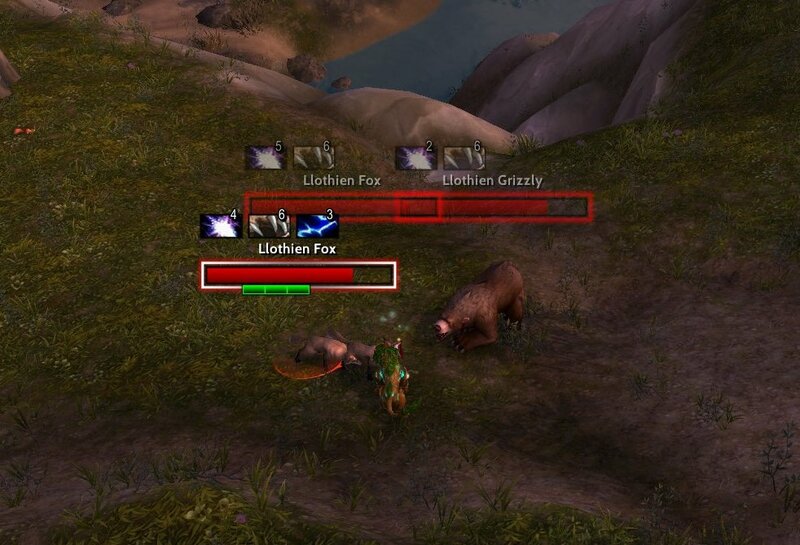 Please enable only one of these two nameplate addons, otherwise two overlapping nameplates will be shown for units. SharedMedia support and many, many, options for name, health, level, and spell text. As well as all of the standard nameplate features such as castbar and icon, elite icons / textures, skull icons / textures, raid marks, and healthbar coloring/alpha/scale. Automatic talent detection and role assigning for an easy out of the box setup. Customizable nameplates for extra customization for specifically named units. /tptptoggle - Toggle Role from one to the other. 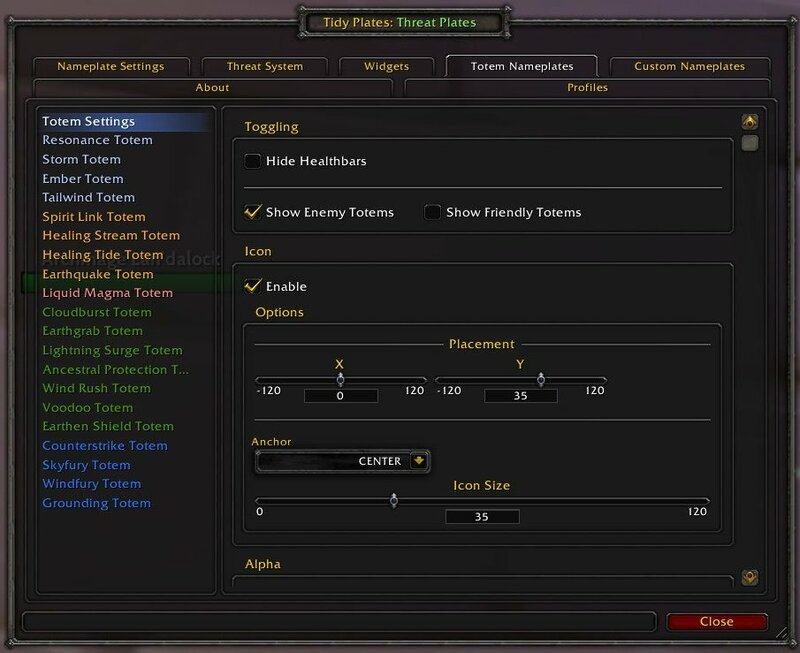 /tptpdps - Toggles DPS/Healing threat plates. /tptptank - Toggles Tank threat plates. /tptpol - Toggles nameplate overlapping. 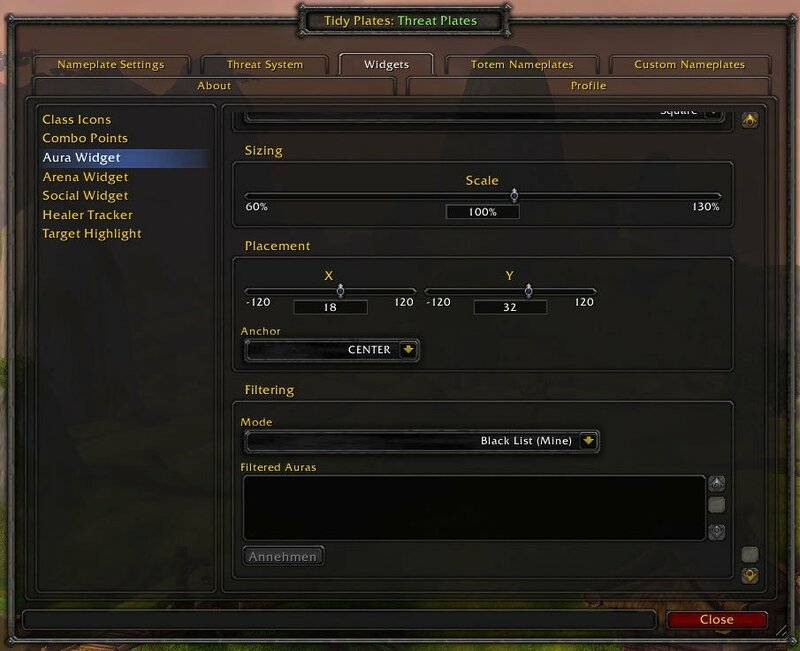 /tptpverbose - Toggles addon feedback text. A considerable amount of information about options and its internal priorities are not gone into details. Most options that are enable or disable based will toggle off options that are no longer changeable once enabled or disabled. If you have any questions about options and what they do, feel free to leave a comment or PM me here for more information. Please feel free to leave feedback in the comments! Fixed a Lua error in the Boss Mods widget when used together with MoveAnything [Comment #1951, #1956]. Fixed a Lua error that occured when migrating deprecated settings of the Combo Points widget [Comment #1956]. 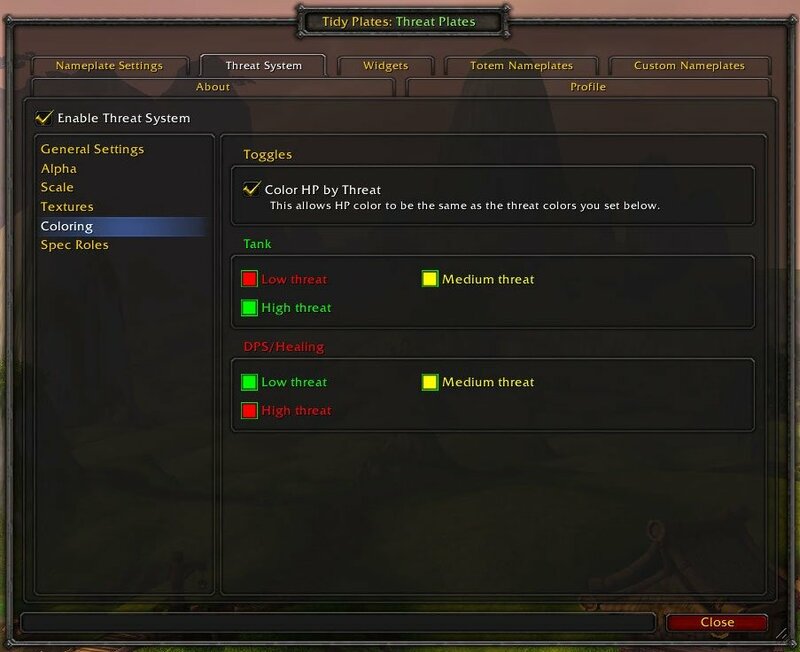 Adjusted Threat Plates' general nameplate settings to be in line with the corresponding WoW settings. Added the option to hide unlimited duration buffs on enemy units again to allow for a more fine-grained configuration with black- and whitelist filtering [Comment #1820]. Added an option to Auras widget to show Magic buffs on enemy units [PM]. Added an option to the Boss Mods widget to show tracking lines between player and active nameplate auras. Improved offtank detection of the threat system (thanks to cremor for reporting the issue and helping fixing it) [Issue #331]. Added an option to Auras widget to highlight auras that can be stolen or purged [PR #100, Comment #1707, Issue #338]. 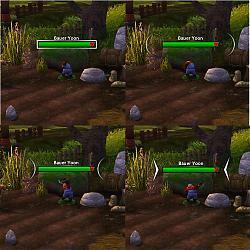 Added some new mobs that can detect stealth to the Stealth widget. Fixed a bug with Warning Glow for Threat not working when threat system as enabled, but threat coloring was disabled [Comment #1888]. 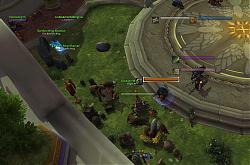 Added heuristic threat detection to show threat feedback on mobs that do not have a threat table, especially in instances (e.g., snake adds on Merektha in Temple of Sethraliss or reaping mobs) [Comment #1790, #1811, E-Mail Request, Issue #331]. Added an option to the castbar to show a spark [Issue #178, #333, Comment #1773]. Updated the Stealth widget to also use unit IDs to detect units that can detect you while stealthed. Shaman's Earth Elemental is now recognized as off-tank [E-Mail Request]. Fixed a bug with Target Highlight widget where the target highlight was shown on the wrong unit in certain situations [Issue #335]. Fixed a bug with Quest widget where the quest type icon was not shown consistently because of a delay of the tooltip update. Fixed a bug where absorbs and heal absorbs where not properly updated after a unit's maximum health changed [PM]. Fixed a bug with the spell text not truncated correctly when too long, but wrapped into multiple lines. Fixed a bug in Resources widget where the resource bar was shown for friendly players although only enabled for enemy players. Fixed a bug with Combo Points widget that prevented the widget from working in arenas and battlegrounds [#Comment 1795]. Fixed a Lua error with Combo Points widget when talent Ascension (6 Chi) was used by Monks [Issue #325]. Removed information popup about new look and feel when using the addon the first time. Fixed a Lua error with Combo Points widget resulting from a wrong migration of combo point widget settings [Comment #1764]. Fixed a Lua error that occurred when switching profiles because of a wrong widget initialization. Removed a debug print message from Arena widget [Comment #1765]. Combo Points widget now has different styles (Squares, Orbs, Blizzard) and colors combo points depending on the current number of combo points [Issue #145, Comment #843, Comment #927, Comment #1028, Comment #1029, #1723, Issue #217, E-Mail Requests]. Blizzard's display for special resources (e.g., combo points) on targets is now hidden by default at login time. To enable it again, see in General - Blizzard Settings - Personal Nameplate [Comment #1681]. Extended the combo points widget to also show Death Knight runes including cooldown timers [Comment #989, #1240, #1252, #1558]. Added an option to reduce the transparency of occluded units (see General - Transparency - Occluded Units) [#Comment #1312, #1437, #1477, E-Mail-Request]. Added new filter options for auras for friendly buffs (Mine) and enemy unlimited buffs (e.g. only show in combat or in instances). Added an option to status text to show absorbs text (amount and/or percentage) [PM]. Added an option to Auras widget to show tooltips when hovering above auras [Comment #1362]. Added an option to disable Threat Plates for neutral and enemy nameplates and keep Blizzard default nameplates for these units [Comment #701, #1390, #1459, #1718]. Added an option for fading in newly shown nameplates. Added keybindings to toggle headline view for friendly, neutral, and enemy units. Added a feature to switch nameplate mode of friendly nameplates also to healthbar view when entering combat [Comment #1254, #1411] - Thanks to sslebedev for implementing. Added support for OmniCC cooldown text to Auras widget. Added the option to use Blizzard elite/rare icons as indicator for elite/rare units [#Comment 579] - Thanks to sslebedev for implementing. Updated the Arena widget to hide unit names and show arena numbers (with customizable font) instead [Comment #710, #1656, #1565, #1590]. Changed how "Show Unlimited Buffs" in the Auras widget works: settings for unlimited buffs are applied after aura filtering, so the cannot overwrite filters. Changed interrupt information on target castbar to show interrupt information on all units, not only on the current target [PM]. Enhanced the Quest widget to show the quest progress on quest target units [Comment #797] - Thanks to Kungfumoo for implementing this. Optimized code for widgets that are only displayed on the target unit (Combo Points, Resource). Changed default settings for Auras and Combo Points widget for better, non-overlapping positioning. Changed default setting for castbar offset to no offset (0/0). Monk's Black Ox Statue and Druid's Force of Nature Treants arenow correctly recognized as off-tank [Issue #270, Comment #1318, #1420, E-Mail, PR #85] - Thanks to dlwyatt for implementing. Fixed a bug with nameplate layering where nameplates where shown above unit frames [Comment #1086, #1124, Issue #215]. Fixed a bug where changes to text alignment (e.g., for name or status text) were not applied until the text was changed. Fixed a bug where Warning Glow for Threat Only ignored the setting "Only on Attacked Units" for tapped and disconnected units. Fixed a performance issue in Quest widget. Fixed a bug with interrupted message on castbar where the interruptor's name was not colored in class color and the realm information was not removed when not in a group [Comment #1727]. Updated localization for enUS, deDE and zhTW (Traditional Chinese, thanks to gaspy10). Re: Re: Re: Re: Re: Re: Re: Re: Re: Friendly names in raids. not sure what you mean, i don't have any mods in that dungeon that use nameplate auras. the Getpoint call that WE don't use was added to resolve an issue with moveanything compat issues that came up when it calls setpoint on every visible frame. Doing that was for that reason. Re: Re: Re: Re: Re: Re: Re: Re: Friendly names in raids. Well, I guess we will see how Blizzard reacts to this. As they removed friendly nameplates in instances, I would not be suprised at all if they disable nameplate addons in instances in general. I was already able to add the necessary code to TP (with the help of your code - never created a line before ). I probably will add some options like line thickness and integrate it into 9.1.6 after some testing. Bare in mind I just had some fixes done to lines in latest DBM alpha. Also, what I noticed while testing my implementation of it: I did that testing by using the enrage mobs in Atal'Dazar and changing the DBM code to show a line when the enrage aura is shown. In that code, there is no SPELL_AURA_REMOVED code which results in the enrage aura never being hidden even if the buff is dispelled. Is that on purpose? Last edited by MysticalOS : 04-15-19 at 03:16 PM. Re: Re: Re: Re: Re: Re: Re: Friendly names in raids. Hm, ok, looking at the changes since 8.1.14, I am not sure how read them. You overwrote function GetPoint for line, but you never use it? Was there some kind of side effect somewhere else? What I am currently not sure is how many lines are supported at a single nameplate. I assume only one. That's how I do it in Threat Plates. The BossMod widget can display several auras, but only one line - multiple ones will overwrite each other. Basically, because the line is anchored to the nameplate, not the aura icon. The code in AuraFrame_RemoveAura with parent_icon: Is it there so that you don't remove the line if several auras are shown, but only one is shown with a line (and that's not the one which is removed)? Re: Re: Re: Re: Re: Re: Friendly names in raids. Re: Re: Re: Re: Re: Friendly names in raids. Last edited by Blacksalsify : 04-08-19 at 01:48 PM. Re: Re: Re: Re: Friendly names in raids. Don't know if you're still working on this, but DBM introduced a new boss mod feature and Kui nameplates beta and internal dbm nameplate code already handles it, now just need your threat plates code to support it. Basically added 2 new args to the bossmod nameplate call back. Addline, and line color. if addline true, in addition to the nameplate icon over nameplate, nameplate mod should draw a line between the nameplates self.parent and center of screen (basically UIParent center). so basically a line between player and nameplate. the color arg would be a RGB, alpha table. Jaina, conclave and ghuun already use feature in latest dbm release. Thanks for this information. I'll take a look at it. Not sure what's the purpose of it, but don't you think that Blizzard will try to ban that? It sounds way to much like what AVR did. it's tough to say weak auras are already doing it though. the biggest thing about this though is that in past blizzard has blocked things that blocked addons from automatic positioning. positioning and distance between players, positions in room etc. Basically anything that attempted actual room geography. This literally just helps you locate an already existing nameplate that's on your screen. It doesn't provide access to room geography such as showing a line to a place in room or to another player or to anything off screen. It's literally just a visual to help you find something quickly within your screen clutter. I'm not even sure how they would break it without disabling hostile nameplates in dungeons/raids too and that would definitely not go over well with users. But then again this is company that removes portals despite overwhelming feedback to contrary so you never know. As for purpose, just watch any mythic jaina stream or video for one example. 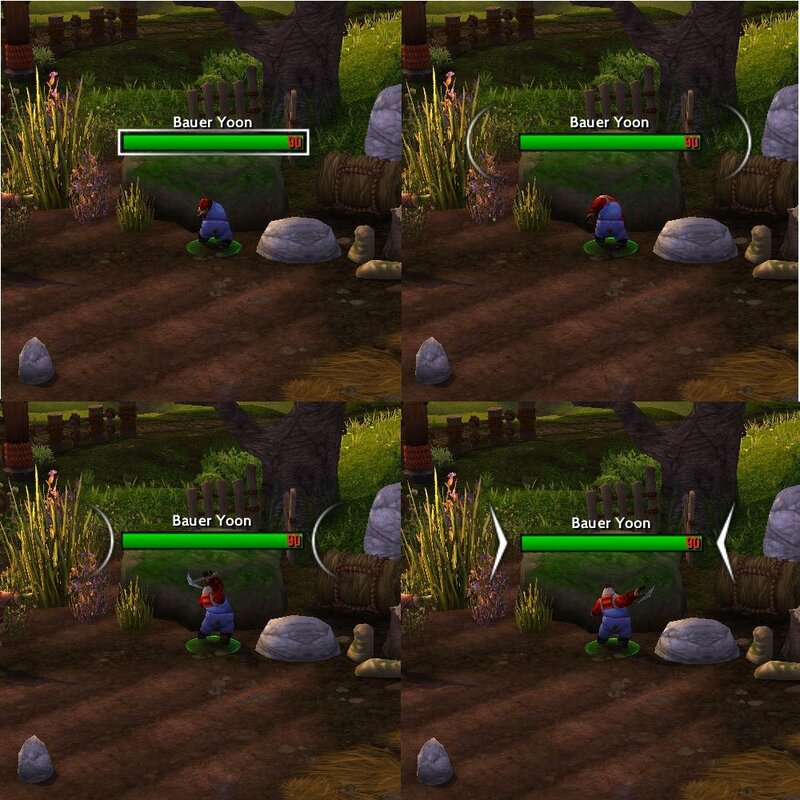 Although the more popular example you'll see in DBM is for enemies fixating on you. Re: Re: Re: Friendly names in raids. Re: Re: Friendly names in raids. Re: Friendly names in raids. I was watching a stream and noticed he had different fonts for friendly players, ones that can actually be read without playing in first person. Would this be possible in Threat Plates? I love Threat Plates too much to change but being able to read friendly names would be so helpful in raids! You can change the font for names (font and size), for healthbar as well as for headline view, if you mean that. You cannot change only the font for friendly players along. You always change the font for all plates. Ah, just saw that you meant raids. As far as I know you cannot change nameplates for friendly nameplates in instances. Even bdnameplates should not be able to do that. They only way I can think of is using names for friendly units (not nameplates) and changing the default for that. But that will change the font for other stuff as well. Last edited by Blacksalsify : 01-30-19 at 12:51 PM. Someone can help me setup this? There is an option in General - Healthbar View to force this view on the current target. Does that work? There's also a workaround with Transparency. Enable target transparency and set it to 0. Enable absolute target-based transparency. Then, set the base transparency of friendly units/players to 100% (meaning, nameplates are not visible). That should achieve what you want. I can't test it right now, so, if it does not work, just report back here. Got 2 requests if it's possible. Being able to show crowd control auras on the opposite side from debuffs. With them on the same side, they will overlap debuffs on the nameplate above it. Being able to turn off stack count from debuffs. You mean to be able to disable the stack count just for debuffs, but not for buff/CC auras? For all three, you can disable it already, but not only for one of them. Regarding you first request. I plan to add a feature to configure the position of aura areas (buffs, debuffs, CCs) independet from each other, so e.g., buffs on the left side of the nameplate, debuffs on the right side and CCs on top. Is that what you want? Well, changing anything in Threat Plates won't help. It's a CVar controling nameplate positioning. All that the TP setting does is change the CVar. It's basically the same as changing the setting in Interface - Names. Even if you disable Threat Plates, default Blizzard plates should be clamped the same way. Are they not? So I got it working somehow. I tried changing the sliders in Threatplates, tried editing the cvars via Advancedinterfaceoptions. Tried a bunch of different nameplates, including default. Nothing worked, no change at all. I then restored Threatplates and googled a bit more and found a suggestion to set the overlap cvars to something like 0.8 and 0.46 I think it was. Great, glad that you could get it to work.